In July 2015, Kathy Baldock and Yvette Cantu Schneider began hosting a weekly 30-40 minute podcast which will be archived. 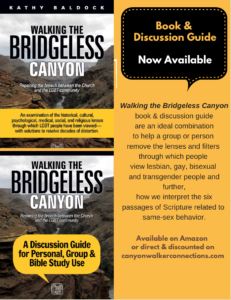 Canyonwalker Connections is one of the foremost organizations working to educate and invite productive dialogue for both religious inclusion, and for social equality for the LGBT community. 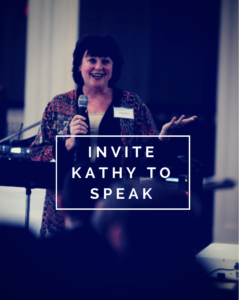 Kathy Baldock is the Executive Director of Canyonwalker Connections and is the one of the most prominent female voices for inclusion of the LGBT community in conservative churches. 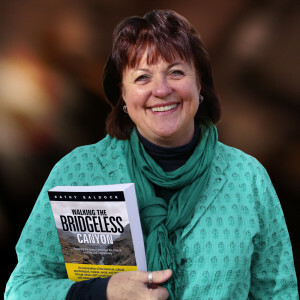 She has published Walking the Bridgeless Canyon: Repairing the Breach Between the Church and the LGBT Community and is one of the foremost experts in the history of the cultural and religious discrimination of the LGBT community. Baldock is joined by co-host Yvette Cantu Schneider. Schneider was a policy former analyst and speaker for the Family Research Council, and was the head of Women’s Ministry at Exodus International. 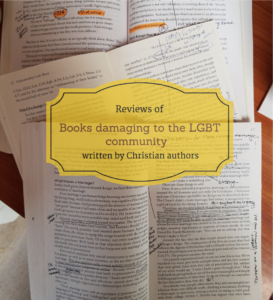 In the summer of 2014, GLAAD (The Gay and Lesbian Alliance Against Defamation) published an in-depth interview with me. (Read the 3 part series). Schneider had just published a book detailing her journey out of political right-wing Christianity. 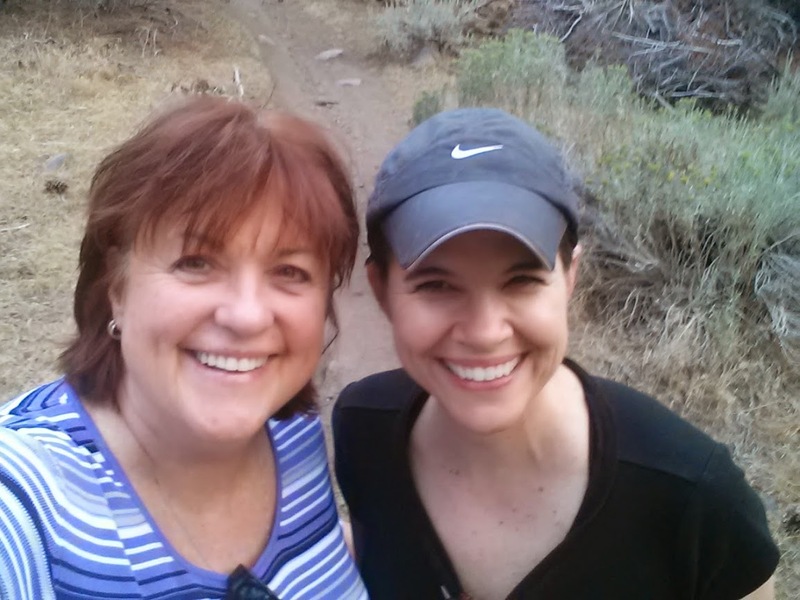 Since meeting in the summer 2014, Kathy and Yvette have been hiking in the Sierra near their homes in Nevada. Many times, they’ve considered how wonderful it would be if others could join and listen in on these conversations. So, they decided to start a podcast, so others could enjoy the fun we have together discussing the issues of the day, and what we can do to educate people on a history that is largely unknown, and how we can further human rights. 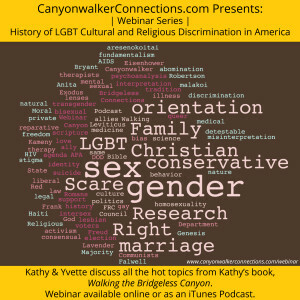 Sisters of Thunder is a weekly podcast featuring Kathy Baldock and Yvette Schneider discussing issues related to current public policy, events, LGBT history, faith, psychology, sociology, medicine, and social issues.